Product information "Sachtler System 20 S1 HD CF"
Working in the field calls for gear that is durable enough to go where you need it to, and versatile enough to do what you need it to. The Sachtler Video 20 S1 introduces an even wider payload range and an innovative, Speedbalance system for fast weight compensation. The wider range enables lightweight DSLR cameras to be used but it can also handle heavier ENG and EFP camcorders; switching between these payloads is made easy with the intuitive Boost Button. EFP and ENG TV crews will love the excellent seven level drag properties, the Touch & Go function for speedy mounting and removal, robust temperature resistance, parking positions for spare camera screws and the self-illuminating bubble level. The Sachtler Video 20 S1 is designed to work as fast as you do. Being able to support heavier payloads doesn’t mean that you have to give up on speed, simplicity and reliability. The Sachtler ENG 2 CF Heavy-Duty Carbon Fibre Tripod handles up to 95 kg while providing the lightweight, durable design that helps crews all over the world create amazing results in a range of environments. The carbon fibre design is stable and twist resistant, while the quick clamping system makes its simple to setup and start working safely. 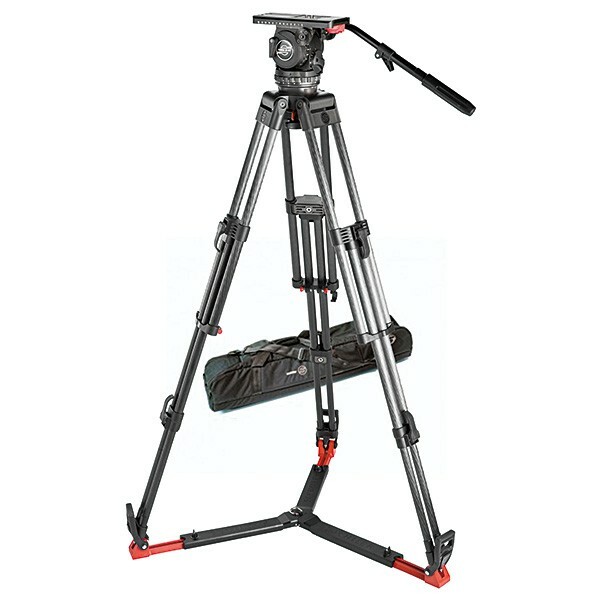 The Sachtler ENG 2 CF Heavy-Duty Carbon Fibre Tripod’s dual extension provides a maximum height of 161 cm, along with a transport length of 75 cm and weight of 4 kg. Making everything easier is a built-in transport safety cord that prevents the legs from opening while you are moving the tripod. Operate with confidence in all environments with this robust and reliable tripod. Related links to "Sachtler System 20 S1 HD CF"
Our comment on "Sachtler System 20 S1 HD CF"
Customer evaluation for "Sachtler System 20 S1 HD CF"